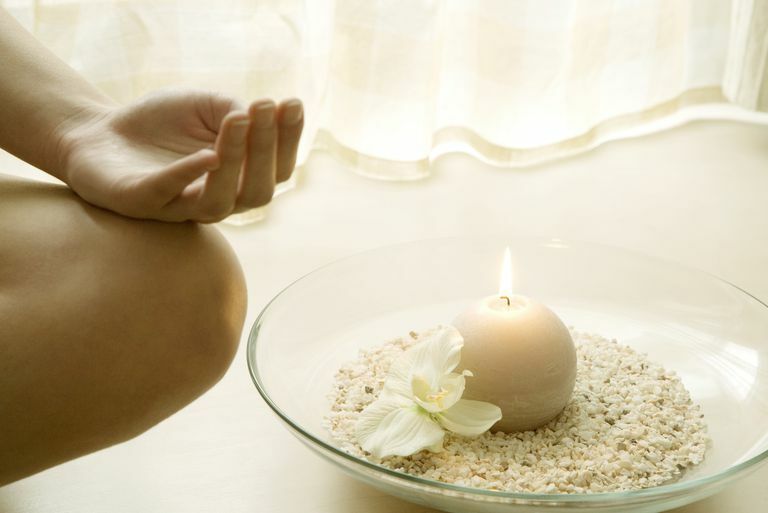 There are many different ways to meditate, and as long as a meditation technique provides the opportunity to quiet the mind and relax the body, there are many benefits of meditation for health and stress relief. The following technique combines the benefits of aromatherapy with the simplicity of focused meditation to create an easy form of meditation even for those who are new to meditation or find the practice to be challenging. Practice this as regularly as you can, and you'll feel less stressed in the present moment, and build resilience toward future stress. Get into a comfortable position and light a stick of incense according to the directions. As the trails of smoke curl and waft upwards, just focus on watching. Let yourself become immersed in the different paths and patterns the trail of smoke begins to take. If other thoughts come into your head, gently bring your attention back to the trail of smoke left from the incense. Just stay in the present moment and enjoy the simple and elegant display. Maintain this process for as long as you’re able to (taking into account the time you have available and your ability to focus). You may want to spend only five to ten minutes a few times a week at first, and as your ability to focus and remain present grows, lengthen your sessions and try the practice more often. While the main idea of this meditation is to stay in the present moment, your thoughts will wander at first. As this happens, rather than being critical of yourself for losing focus, congratulate yourself for noticing that your thoughts have crept in, so you can again redirect your focus to the present. According to many experts in aromatherapy, the best scents for relaxation are lavender (for calming properties), sage (for cleansing abilities), and peppermint (for mental focus), but you can use any scent that resonates with you. Because the scent from stick incense is distributed via smoke, be careful not to get the trails of smoke too close to your face. If you are in a well-ventilated room, there should be no problem from the incense itself as long as you’re not directly inhaling its smoke. If you have problems with burning incense (due to respiratory problems, for example), try a different type of meditation.